HIFF is pleased to continue the hit screening series NOW SHOWING. On select Saturday nights, the series, curated by HIFF, features acclaimed first-run art house, independent, and world cinema. Money, power, politics, drugs, scandal, and fast cars. The incredible story of John DeLorean is the stuff of a Hollywood screenwriter’s dreams. But who was the real John DeLorean? To some, he was a renegade visionary who revolutionized the automobile industry. To others, he was the ultimate con man. For the first time, FRAMING JOHN DELOREAN recounts the extraordinary life and legend of the controversial automaker, tracing his meteoric rise through the ranks of General Motors, his obsessive quest to build a sports car that would conquer the world, and his shocking fall from grace on charges of cocaine trafficking. 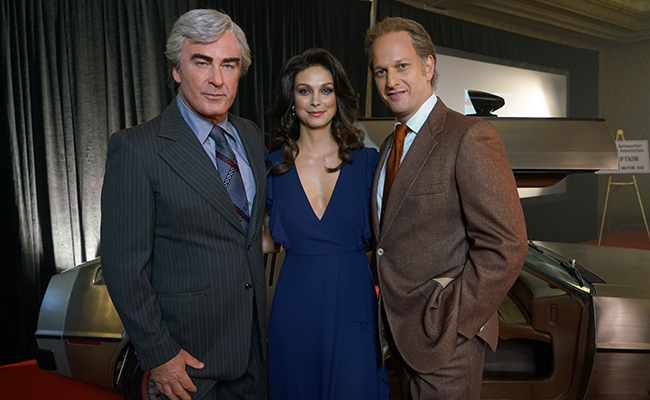 Interweaving a treasure trove of archival footage with dramatic vignettes starring Alec Baldwin, FRAMING JOHN DELOREAN is a gripping look at a man who gambled everything in his pursuit of the American Dream. After the film, directors Don Argott and Sheena M. Joyce will join Alec Baldwin and HIFF Artistic Director David Nugent for a conversation. Tickets for screenings are $25 for general admission and $23 for HIFF and Guild Hall members. HIFF members: purchase tickets online from Guild Hall and select ‘member price’ to receive your discount (your name will be checked against our member roster). Enjoy!